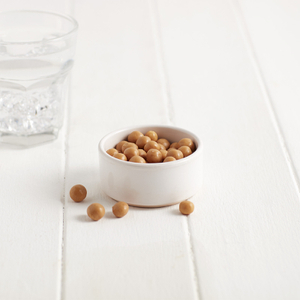 For allergens, see ingredients in bold. May also contain egg, and sulphites. Why try this exante Meal Replacement Shake? 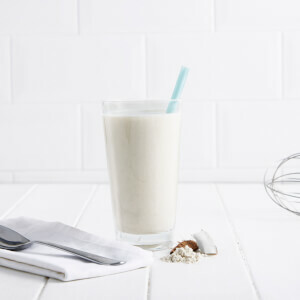 This indulgent-tasting exante meal replacement shake features a classic cookies and cream taste. 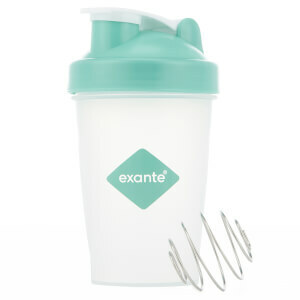 exante diet shakes are also gluten-free and suitable for people with Coeliac disease. Who can benefit from a meal replacement shake? Whether you are looking to control your calorie intake or for quick and easy weight loss, the best meal replacement shakes are protein and vitamin-enriched supplements to healthy, balanced diets. Skimmed Milk Powder, Vegetable Fat Concentrate (Refined Soybean Oil, Maltodextrin, Milk Proteins, Emulsifier (Soya Lecithins), Antioxidant (Fatty Acid Esters of Ascorbic Acid, Alpha-Tocopherol)), Soy Protein, Vegetable Creamer Concentrate (Refined Coconut Oil, Whey Powder (Milk), Milk Protein, Stabilizer (Triphosphates Acetylated Oxidised Starch), Free Flowing Agent (Tricalcium Phosphate)), Whey Protein Concentrate (Milk), Milk Protein Concentrate, Natural Flavouring, Maltodextrin, Potassium Citrate, Inulin, Emulsifier (Xanthan Gum, Guar Gum),Di-Potassium Phosphate, Sodium Chloride, Calcium Chloride, Magnesium Oxide, Vitamin Premix (Vitamin C, Maltodextrin, Zinc, Iron, Vitamin E, Niacin, Copper, Vitamin A, Fluoride, Manganese, Pantothenic Acid, Biotin, Chromium Chloride, Selenium, Folic Acid, Vitamin D, Potassium, Vitamin B12, Chloride, Vitamin K, Thiamine, Riboflavin, Molybdenum), Potassium Chloride, Natural Colouring (Beta Carotene), Sweetener (Sucralose). Totally loved this shake, tastes like the real thing, definitely will be buying more. This is sweet but without much flavour, and what flavour there is a little bleh. Cookies and Cream sounds really inviting but I think Exante needs to do more work on getting it right. For me it is 2.5 stars at best, and unless they bring out a new improved version I won't be ordering it again..
Love this shake it's very flavoursome, filling and does just what it's meant to do! Packaging is very pretty (if that's your thing). Shakes up really well although I add about 300ml rather than the recommended 200ml as it is really thick! I found this flavour to be very odd. Had a strange soapy taste that lingered at the back of my throat. Very sickly sweet and thicker than the other shakes. Took me a while to get through, which is probably a good thing, but this was too sweet for me! Gorgeous treat in a shaker cup! I love this one! Perfect if you have a sweet tooth. A bit like a frappucino (without the cream though). 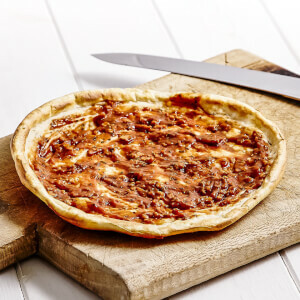 Free How it Works eBook with every order! Receive our Free How it Works eBook with every order. 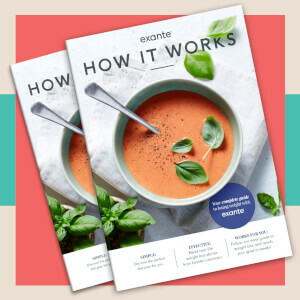 Packed with diet plan information, plan recommendation based on your BMI, FAQs and all things Exante! Your free copy will be emailed to you within 24 hours of purchase and you will not be charged for this item.